US inflation indicators and Chinese trade numbers will be the big data releases during the next seven days, with the economic calendar otherwise looking relatively light. 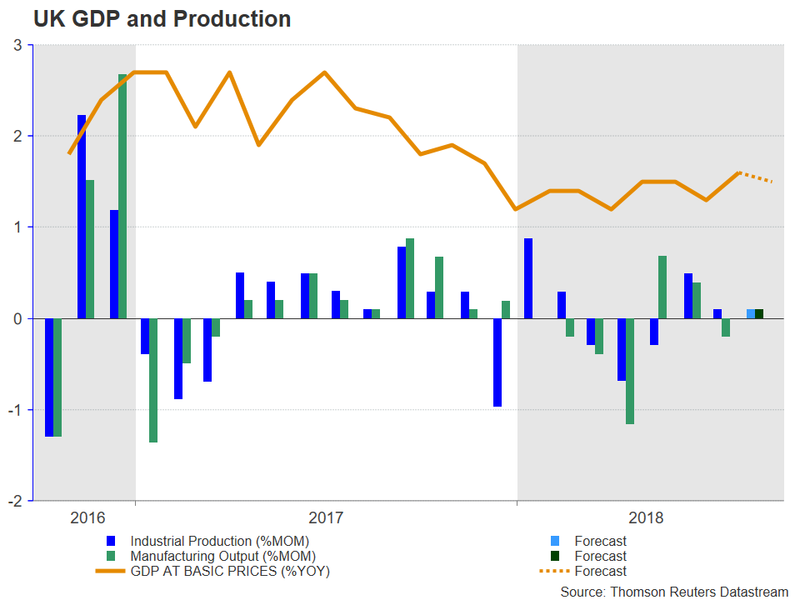 August industrial output figures will be the focus in Europe, while the minutes of the European Central Bank’s September policy meeting should also attract some attention. As the United States continues to pile pressure on Chinese authorities to give US companies more access to the local market, there’s been little evidence so far that the enacted tariffs by the two sides are hurting Chinese exporters. Annual growth in exports stood at 9.8% in August and is forecast to have slowed slightly to 9.1% in September. 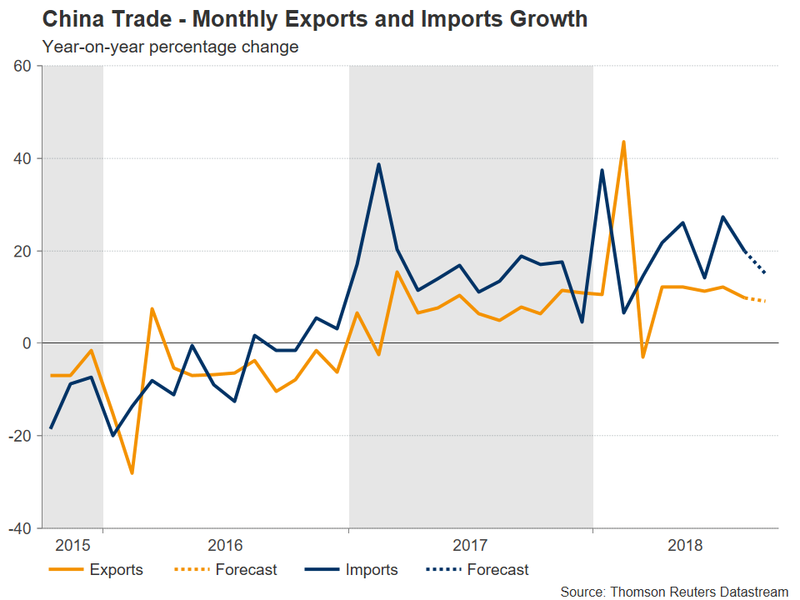 The data, due on Friday, is also expected to show imports rising by 15.0% in September, pointing to healthy domestic demand. 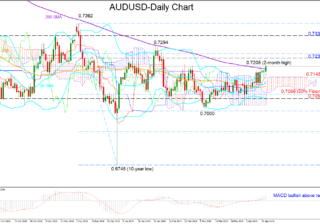 The Australian dollar, which tends to act as a liquid proxy for China-related trades given Australia’s high dependency on exports to China, will likely seek some respite from the past week’s slide if the data comes in mostly in line or better than expected. Aussie traders should also keep an eye on sentiment surveys due out of Australia. The NAB business conditions index is out on Tuesday and will be followed by the Westpac consumer sentiment gauge on Wednesday. Capital spending by corporations in Japan has been rising strongly in 2018, lifting growth out of negative territory in the second quarter and defying heightened global trade tensions. Core machinery orders – a forward-looking indicator of capital expenditure – are released on Wednesday and are forecast to have fallen back by 4% month-on-month in August after an 11% surge in July. Also of interest will be corporate goods prices (a measure of producer prices in Japan) on Thursday. 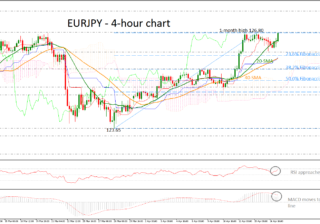 The yen, which advanced against most majors this week apart from the US dollar, could extend its gains if the data surprise to the upside. 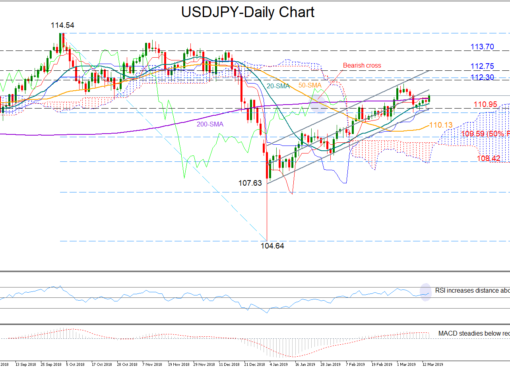 But the Japanese currency would likely continue to struggle vs the bullish greenback even as the Bank of Japan has been allowing the yield on 10-year Japanese government bonds to rise to multi-year highs. 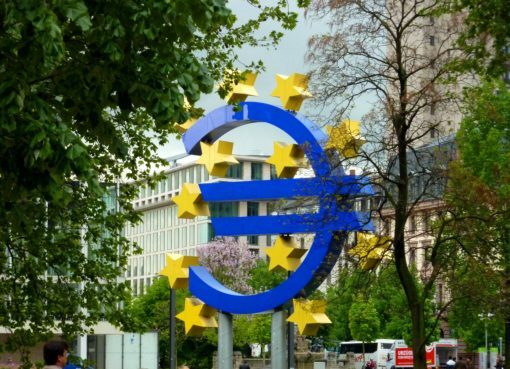 Mario Draghi, the President of the European Central Bank, surprised markets at the recent European Parliament hearing when he described the pick-up in underlying inflation as “relatively vigorous”. Although concerns about Italy’s budget deficit and a strong dollar made the euro’s gains from Draghi’s remarks short-lived, investors will still be looking at the account of the ECB’s September policy meeting due on Thursday for signs that policymakers are becoming more confident about the Eurozone’s inflation outlook. In terms of data, industrial production indicators will dominate the calendar, with German numbers released alongside the euro-wide figures. First up are the German ones on Monday followed by the Eurozone stats on Friday. Industrial output in the Eurozone’s largest economy is projected to have expanded by 0.4% m/m in August, after a 1.1% drop in the prior month. 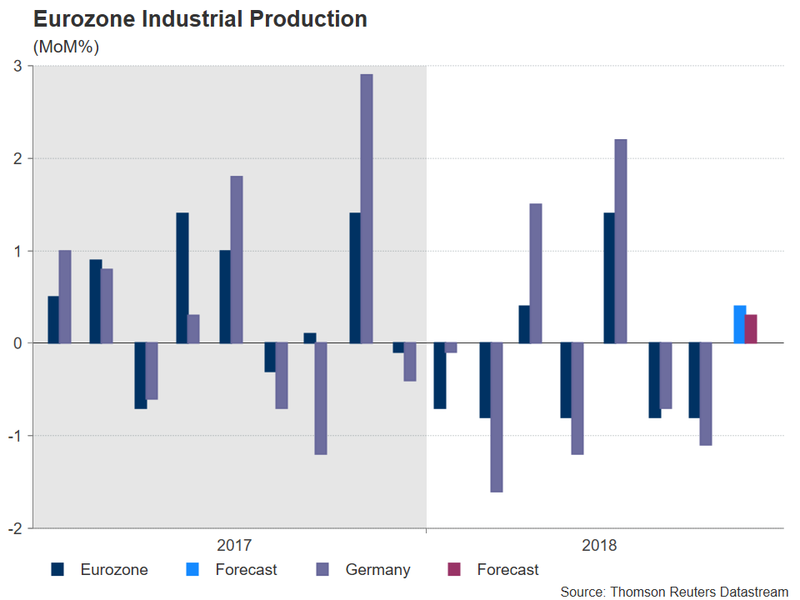 A bounce back is also being anticipated for the Eurozone, with production expected to have risen by 0.3% m/m in August after declining by 0.8% in July. Also to watch are the Eurozone Sentix index for October on Monday and German August trade data on Tuesday. British growth was recently revised back down to 0.1% quarter-on-quarter for the first three months of the year, while second-quarter growth was confirmed at 0.4%. Things are looking rosier for the third quarter and there should be more evidence of this from the monthly GDP estimates due on Wednesday. UK GDP is expected to have expanded by 0.1% m/m in August, to produce an annual figure of 1.5%. On a 3-month basis, growth is forecast at 0.6%, which would match July’s rate and point to the growth of a similar amount for the third quarter. Industrial and manufacturing production figures, as well as the latest trade numbers, will also be released on Wednesday. Both industrial and manufacturing output is forecast to have increased by an unimpressive 0.1% m/m in August, underlining the fact that the services sector remains the main driver of British growth. 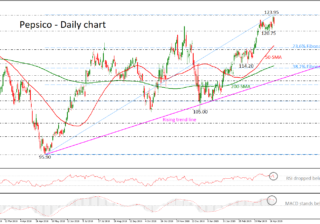 A positive set of data could help sterling make a sustained recovery above the $1.30 level after slipping below the level at the start of the week on the back of a stronger greenback. 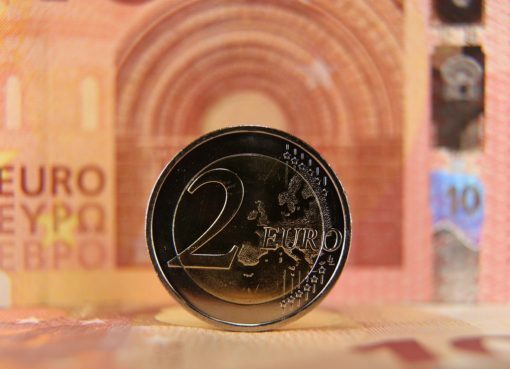 The pound received a lift, though, later in the week on reports that the UK and the EU are in the last stages of finalising the Withdrawal Agreement. 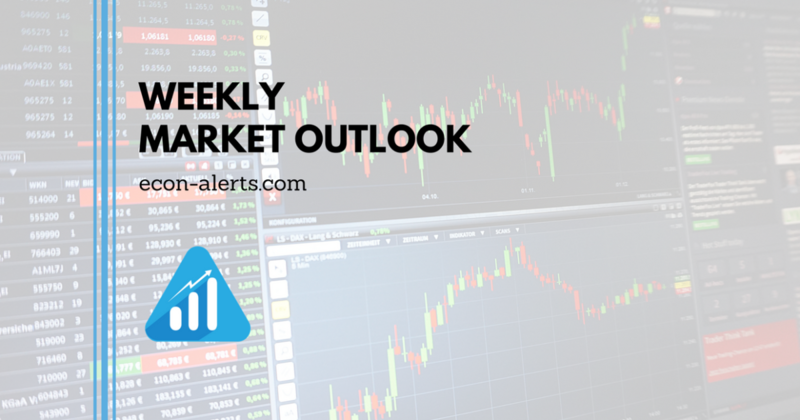 A disappointing economic release is unlikely to weigh on the pound significantly if Brexit-related headlines remain positive. However, a fresh stumbling block in the Brexit talks could offset any upbeat numbers out of the UK. Inflation gauges will be the primary release out of the United States in the coming days, highlighting a muted week. With markets closed on Monday for Columbus Day, September producer prices will start the week on Wednesday. They will be followed by the consumer price index (CPI) on Thursday. The 12-month rate of CPI is expected to have risen by 2.4% in September, edging down from the prior 2.7%. 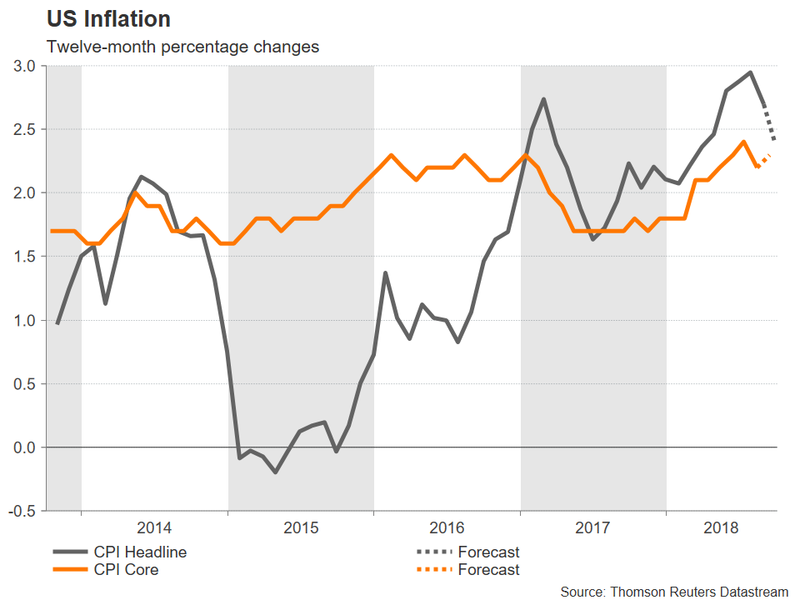 However, the core CPI index is anticipated to tick higher by 0.1 percentage points to 2.3% year-on-year. There will be more price barometers on Friday from import prices for September, while the only major non-inflation data will come from the University of Michigan’s preliminary reading of the consumer sentiment index for October. The dollar is unlikely to see large moves to the CPI numbers, unless there is a large deviation from the forecasts, as it would not alter the Fed’s near-term rate path.